First of all, Facebook is the biggest social networking platform in the world. It has millions and millions of users worldwide. 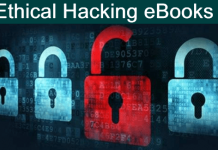 Since most of the Facebook users are very active, thus, the site is very concerned about the security of its users. Along with many privacy options, Facebook keeps a check on the geniunity of its users. Hence, if Facebook feels that a user is not abiding the rules, his account may be disabled. Sometimes, people experience that their account is disabled over minor causes which seem unfair. Due to which people are finding ways to recover disabled Facebook account. Accessing a disabled Facebook account can be quite difficult once it is disabled as instructions on Facebook are not very clear. Just to save Facebook users from all the trouble we, hereby, bring a perfect solution in the form of easy and simple steps which you can easily follow. Reasons Behind Facebook Account Disabled. ? 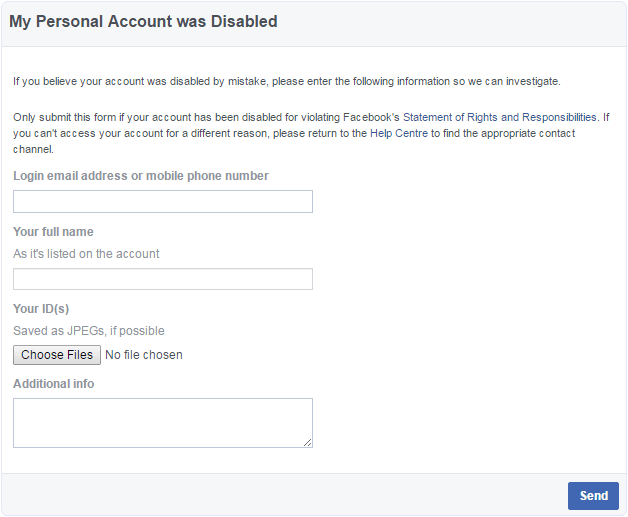 How To Recover Disabled Facebook Account. ? For Permanently Disabled Facebook Account. Most users are not aware of the fact that Facebook has a right to disable account if they think that there is a compromise in safety or security of users. Rather some users unknowingly violate Facebook terms and conditions and then their account is disabled. 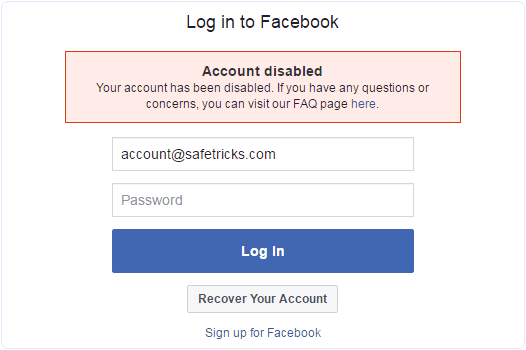 Facebook does not give a specific reason for why a particular account is disabled. Yet, here we have a list of possible causes because of which your account is possibly disabled. Improper name, fake account, represent celebrity or brand. Heavy reporting against the accounts. Step 1. First of try to login into disabled Facebook account. Step 2. Now send an appeal to Facebook using the link given below. Step 2. Fill up the form using your name and your email address. Step 3. This step is a little tricky because you have to upload a copy of any government issued ID proof. Here is the list of accepted I’d proofs. Important:- Make Sure Accounts Names & DOB should be similar to uploaded ID proof. Facebook only check these two things. Don’t worry about any other information. If you have any kind ID proof with matching details then upload it. Make sure that your proofs are legit or your Facebook account may be lost permanently. You should never upload your proofs again and again. Rather wait for the mentioned time. So just sit back and relax while Facebook will verify you as a legit user, then you can have the access to your Facebook account. If you receive a notice that says “Your Facebook account has been permanently disabled”, you are out of luck. It is impossible to access a permanently disabled Facebook account. You can create a new email id and then create a new Facebook account to use the world’s largest social network again. In conclusion, we would like to advice all Facebook users to use it with caution. Make sure you follow the guidelines and use Facebook safely. For any assistance , query or suggestions, please feel free to write to us in comments below.